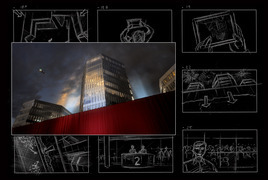 Still image and storyboard collage from the film MediaCity Bergen. 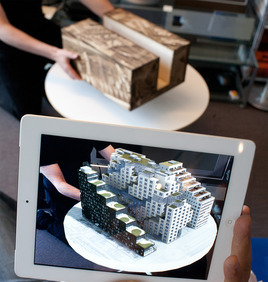 Image of the Augmented Reality application showcasing the corporate headquarters of DNB, Norway’s largest bank. “What’s new in architectural visualization: from cinematic films to augmented reality and serious architectural games." The development and accessibility of new technology for film and real-time 3D graphics has enabled studios to present architecture in novel ways. These tools add to the arsenal of visual media platforms available to architects and their clients. Kim Baumann Larsen will present some of his most recent architectural visualization work in the areas of interactive 3D visualization and film. Analysis of the visual elements and storytelling in MIRs famous NUUK visualization. An in-depth presentation on how effective use of visual elements and storytelling creates powerful architectural visualization images. Kim Baumann Larsen will use examples from his own work as well as images from Luxigon (Paris, France) and MIR (Bergen, Norway), two of the most renown architectural visualization studios in the world. Kim Baumann Larsen is licensed architect, digital production designer and educator. In 1999 he co-founded Placebo Effects, a Norwegian company pioneering digital design and visualization services for architecture, entertainment and advertising. He is a co-founder and co-director of Digital Storytelling, a multi-disciplinary arena of seminars and workshops in Oslo, Norway on innovative and creative use of storytelling in film, television and games visual effects. Educated as an architect at the Oslo School of Architecture in 1992, Kim enjoys tackling all aspects of digital design and storytelling including writing, designing, 3d,VFX, filming and directing. Working in CG and digital design since 1993, Kim has lectured at several architecture schools in Scandinavia and the USA and at the computer graphics conferences View, Mundos Digitales, fmx and ACM SIGGRAPH. 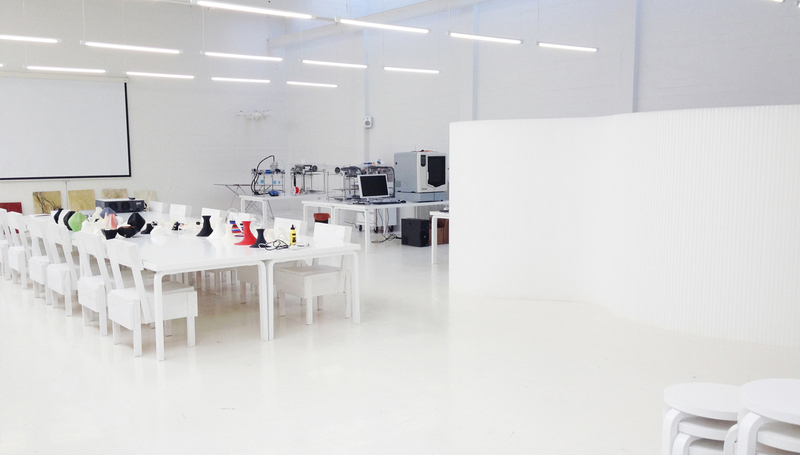 He has been a jury member for the digital design Master program at the Oslo School of Architecture and Design and is currently teaching and help building the curriculum for the 3D graphics studies at the Norwegian School of Information Technology in Oslo. Kim was the first Norwegian to be awarded the Intergraph scholarship for using CAD in architectural design (1991), and received a Fulbright Scholarship for his Master studies at the Sasakawa International Center for Space Architecture at the College of Architecture, University of Houston in 1993-94. He won Best Visual Effects Award in 2009 in the categories TV production for "Arena" and music video for "September: Can't Get Over" for which he was the production designer. He received a First Prize Award for his innovative design for the Risør Hotel competition in 2006. In recent years he has been leading research and development work at Placebo Effects in the emerging technology of mobile Augmented Reality in architecture, entertainment and marketing and the use of real-time 3d graphics and serious gaming in communication of architectural design. Previously he has worked with the OCEAN group researching new ways to generate form and architectural spaces using digital animation tools. Kim has his own design and visualization practice Dimension Design and is currently working on architectural design for computer games and serious games applications to aid architectural communication and design. Kim is a founding advisory board member of 5D Institute: the future of narrative media and the CGSociety.org and a co-founder of the Norwegian Society of Visual Effects.